A second legal protest has temporarily blocked the Lake Erie Bill of Rights from appearing on Toledo ballots in a Feb. 26 special election. 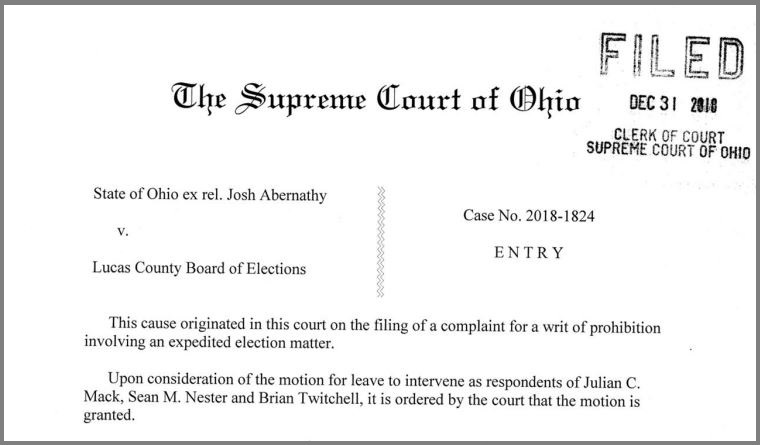 Although the Lucas County Board of Elections in a 3-0 vote approved the ballot initiative last month, a second protest filed the day after Christmas on behalf of Josh Abernathy is before the Ohio Supreme Court and could, ultimately, prevent the grassroots initiative from appearing on the ballot. Abernathy is a Toledo-area trades union member who is represented by Columbus-based attorney Don McTigue. 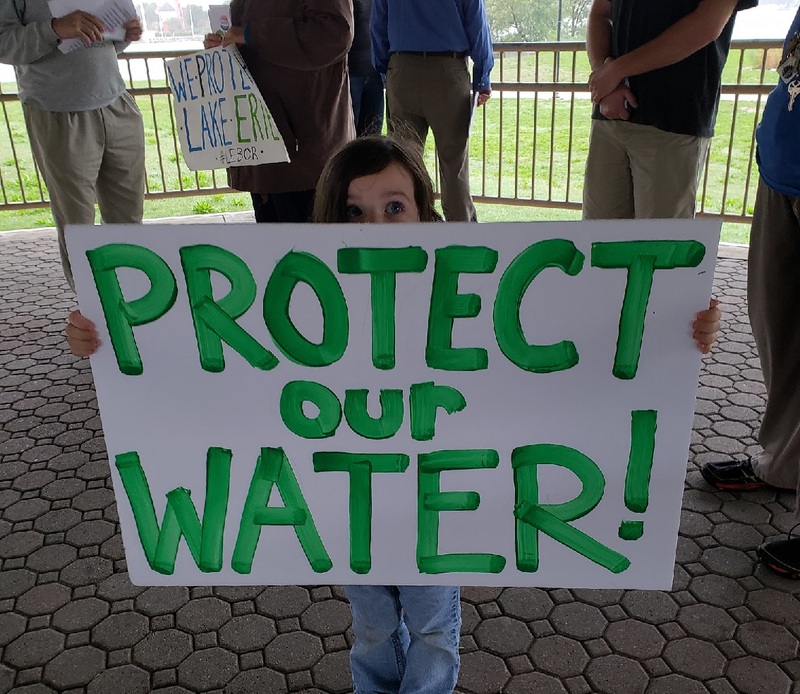 Toledoans for Safe Water planned and worked for two years to get the issue on the ballot, eventually gaining the needed votes to place the issue before the Lucas County Board of Elections, which in August voted it down unanimously. The advocates then asked the Ohio Supreme Court to look at the issue. Justices did, ruling against Toledoans for Safe Water in late October. Click HERE to see the Ohio Supreme Court’s Case Information page. The group then approached the Toledo City Council, which after a contentious public dialogue with Toledoans for Safe Water, agreed to a charter amendment which would place the initiative on the ballot. 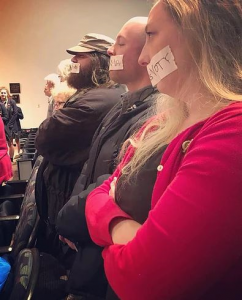 While the elections board was slated to vote on the ballot initiative Dec. 10, a last-minute protest by McTigue on behalf of Abernathy delayed action. When the Lucas County Board of Elections re-convened on Dec. 20 for a second vote on the proposed ballot initiative, they approved it unanimously, clearing the way for the Feb. 26 special election. 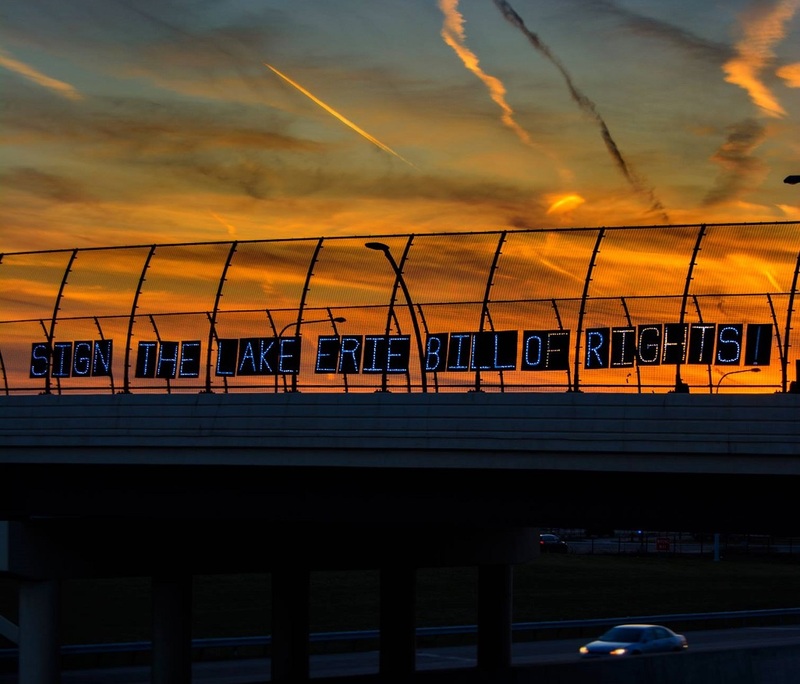 But the day after Christmas the second protest postponed the Lake Erie Bill of Rights Issue, at least until it’s sorted out in court — again. The newest protest, Miller said, doesn’t seem so much different than the previous one: same attorney, same union member. “To me it doesn’t seem like there were any new arguments. They’re just taking it back to the Ohio Supreme Court again. It’s just going in circles it feels like at this point,” Miller said. 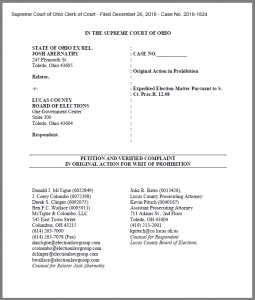 While a number of organizations are on the record as being associated with a court brief against the issue, Miller said the Affiliated Construction Trades of Ohio seems to be most active, and that the International Brotherhood of Electrical Workers Local 8, which Abernathy is a member of, is affiliated with ACT Ohio. Miller said her group’s focus is moving forward, despite the uncertainty of the court’s future ruling. “Our challenge is going to be getting ahead of the issue, that this is anti-development and a job-killing bill. And that’s going to be a tough job,” she said. 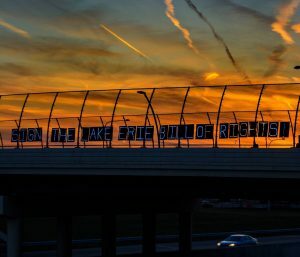 Miller said that in August there was a robo-call campaign against the issue, even before the Lake Erie Bill of Rights was voted on the first time by the Lucas County Board of Elections. Neither McTigue nor Abernathy responded to Great Lakes Now requests for comment. LaVera Scott, Lucas County Board of Elections director, said the jail location and Lake Erie Bill of Rights issues will be the only two issues on the ballot, and that if the Lake Erie Bill of Rights issue doesn’t make it, only the jail issue will be on the ballot. 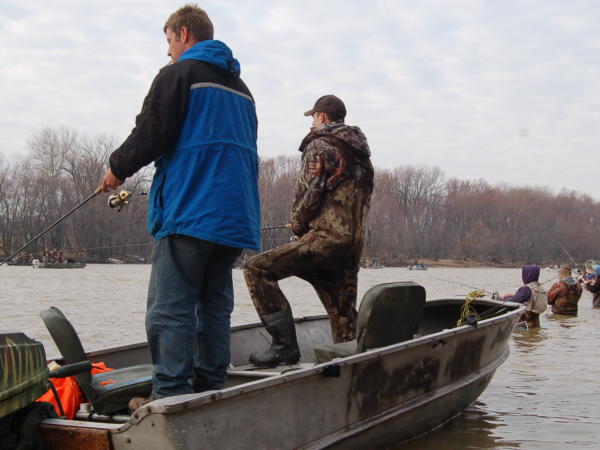 The Lake Erie issue, if it does appear, won’t cost taxpayers any extra money for the election. The only exception, she said, could be a slightly higher cost in legal advertising for the election, since there could two issues instead of one. When asked about voter turnout, Scott said she didn’t expect anything out of the ordinary. In general, special elections historically garner far fewer voters than regular elections. With that said, Scott did point out this particular election may prove slightly more difficult than others. Scott said voters can still count on absentee ballot and early voting rules, which will be the same as any regular election. Terry Lodge, an attorney with the Community Environmental Legal Defense Fund, represents Toledoans for Safe Water. He said it’s no surprise that a local union member is the plaintiff in the case, since earlier court briefs filed were done so on behalf of a number of northwest Ohio trades unions. 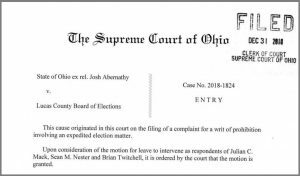 The latest protest filed with the Ohio Supreme Court required all arguments, including amicus briefs (also called friend-of-the-court briefs) be submitted by Jan. 7. Those are presented by parties interested in influencing the outcome of a lawsuit but who are not direct parties to the action. 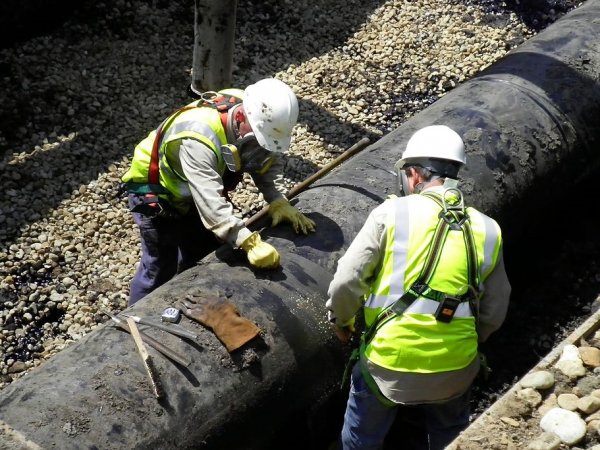 The amicus briefs filed in the first Ohio Supreme Court case included opposition from numerous organizations including those representing oil and gas industries, various crops and livestock farmers and trades unions. All parties submitted their arguments before the deadline. “The Supreme Court will take as long as they need to,” Lodge said. “It will either be on the ballot or it will be jettisoned.” Lodge said at the beginning of the year he’d really like the court to make a decision by Jan. 17th or 18th.” Obviously that time has passed. “Time is of the essence,” he said, pointing out that each day closer to the election is one day less which Lake Erie advocates have to inform and educate voters on the issue. With years of experience in community-oriented environmental law, Lodge said he expects a serious ad campaign by opponents if the issue remains on the Feb. 26 ballot. “They’ve got some pretty savvy people working for them,” he said. On the upside, since there’s no injunction against the ballot initiative, the board of elections should go ahead with printing and distributing the ballots, Lodge said. Great Lakes Now asked Lodge if the ordinance as written is even enforceable. He balked. 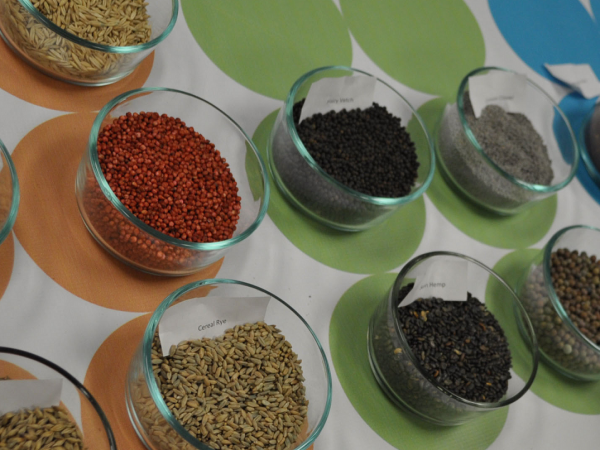 Despite the latest in a string of obstacles, Miller said the group is already moving forward. Other means to get to Toledo voters aware of the special election and the Lake Erie issue are afoot. “Win or lose, we’re going to keep pushing,” Miller said. “We’re not going away.” Since the last Toledo County Board of Elections vote, interest in Toledoans for Safe Water has risen exponentially, she said. And despite the fact a decision hasn’t been rendered by the court yet, Lake Erie advocates are campaigning as if they have the go-ahead. “We’re not focused on that part of it,” she explained. “We’re doing as much campaigning and outreach as we can right now.” Miller said the group has been canvassing door-to-door and working precincts that have historically high voter turnout. That includes Point Place, a neighborhood on the water, which she said is an obvious place to start. Miller said public appearances are in the queue, as well as a telephone campaign and other pro-Lake Erie actions. She said opposition has not yet made its appearance, other than push-polling, where calls are made to prospective voters to feel out their possible voting positions. Those who may be on the fence or inclined to vote for the Lake Erie Bill of Rights are then engaged in dialogue with the opposition. And, Miller pointed out, the group also has support from some voters affiliated with Toledo-area trade unions. 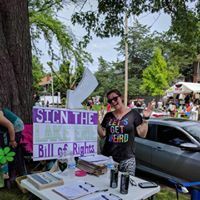 One resident, a member of a sheet metal workers union, and an avid angler, has been helping out with yard signs and other efforts and has posted pro-Lake Erie Bill of Rights information on Facebook. And even if the court rules against Toledoans for Safe Water, Miller said it will still be a win.